"Let influences be your guide. But don't let them define you"
We all have to start somewhere. That place is usually in the footsteps (or tripod holes) of those that we admire. It has often been said that the biggest form of flattery is imitation. The Cuernos & Lago Pehoe. I would certainly agree with this. I know myself that I learned a lot during my initial years of photography by following in the footsteps of those that I admire. 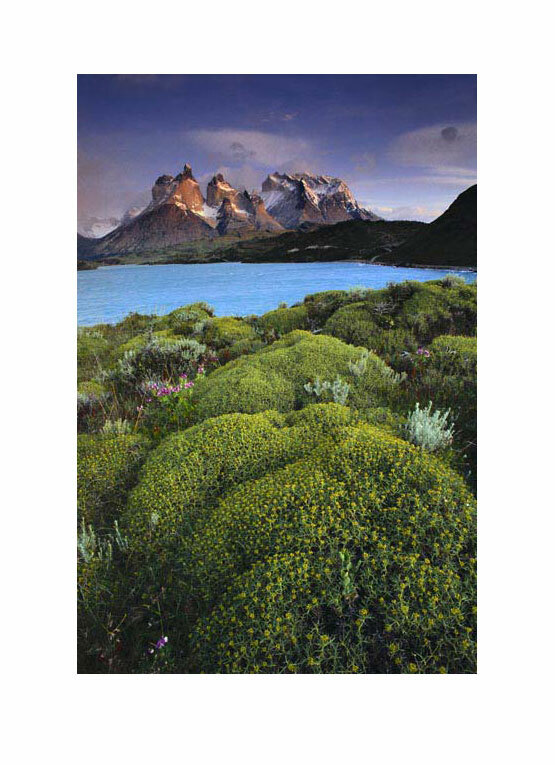 For example, I remember my whole reason for going to Patagonia back in 2003 was because I had been so inspired by the work of the late Galen Rowell. 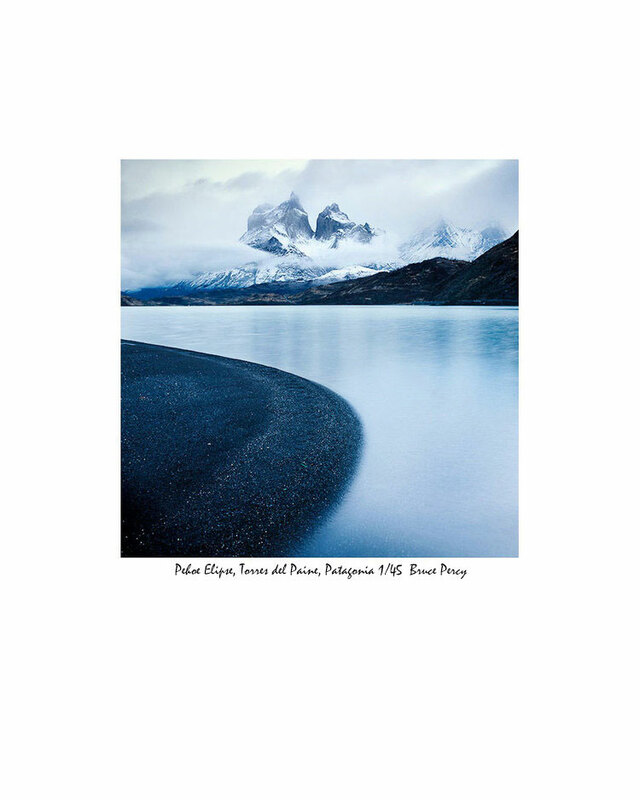 He had made one particular image of Lago Pehoe that just made me want to go there so badly and when I did, I sourced out the location where Galen made the image you see on the right. I know my influences: Galen Rowell first gave me the motivation to use strong colour when I first started out. Through his writing and emotive images he taught me to embrace the adventure. Even today, his book 'Mountain Light' is perhaps my most favourite book on travel photography which I often return to when I feel I need to re-connect to my roots as to why I got into this whole thing in the first place. Michael Kenna was and still is a great influence on me: I've learned so much from Michael's work over the decades that I have followed him (I've been a fan since the late 80's). He himself has said in many interviews that it is quite normal to follow in the footsteps of your heroes. By working in the places that they worked, you learn a lot about how they made the images they made. But there must come a time when your work should diverge from your heroes - it is usually a signal that you are beginning to find your own voice. Some of us have a long journey ahead of us to get there, and indeed, some of us never do. It is my hope though that we should all, at some stage, get a glimmer of who we really are underneath all the hero worshiping that is, I believe, a normal stage of development. In this age of high proliferation: it is hard to be an individual. Indeed, I often feel that many people go to the same locations because they wish to capture similar shots that someone else has captured. We are bombarded with many shots of the same view, endlessly repeated on image sites that I think it is hard to step away and find our own voice. To find one's own voice inevitably requires us to understand ourselves: to know who we are. I myself have openly thanked Kenna in turn for kindly providing me with his guide's details for Hokkaido and the work I created there - I made sure to namecheck him as I felt a need to be in-tune with which parts of my creativity are truly my own, and which parts I've borrowed from my heroes. It's vital that I know who I really am and to do that, I have to recognise and understand my influences, and to thank them for what they have given me. Following in the footsteps of one of my heroes, even now. Photography is a personal journey into finding out who we really are. That is what makes it so special; it is our own private universe, a place where we get the chance to express our individuality. If we wish to get a clearer insight to who we really are as artists, and to know where we are going with our creativity, we first need to understand our influences. But before we can continue, we also need to acknowledge and thank them for showing us the way forward. "If the person who influenced you didn’t mention that they had already been “influenced” by another photographer. Or who do you mention when shooting something like St Paul’s? Could be 1000’s thinking they deserve a mention. Do you mention the influencer every time you post it?" That's the problem with the written word: readers can often read into what you've said and come up with a different meaning than the one I intended. If anyone is still in doubt about what I was suggesting, I am merely saying it's good to be aware of your influences. You can thank them any way you can, but the easiest way is to just be mindful and to recognise that they are part of the reason you do what you do.